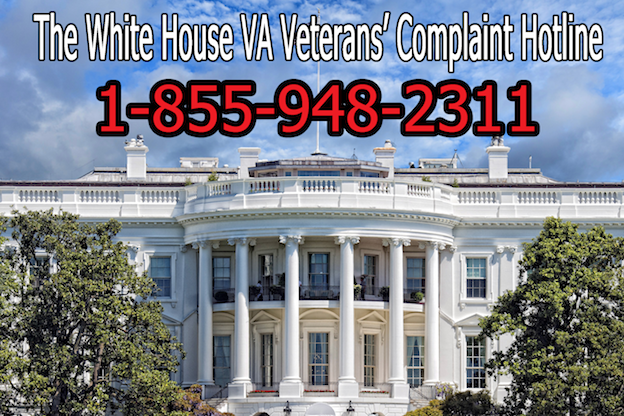 On June 1, 2017, President Trump’s promised White House VA Veterans’ Complaint Hotline went live. The hotline is intended to provide veterans with an avenue to report problems with and complaints about the VA. VA Secretary David Shulkin said that the initial soft launch of the hotline will only have live operators to take some of the calls at first, with a pledge to provide continuous 24/7 live coverage by August 15, 2017. All calls made to the hotline will be confidential. However, depending on the issues involved, some may need to be referred to the appropriate VA department and some information may need to be shared with those departments in order for specific complaints to be addressed. President Trump proposed the hotline during his campaign as a way for veterans to be able to bring their complaints and issues directly to the White House and not get lost in the VA system. According to VA officials, information from these calls will be used to address issues regarding benefits and receipt of care for veterans and their families. Please remember that this is NOT a Veterans’ Crisis Line and is not intended to provide suicide prevention assistance. This is to report problems with the VA, such as difficulty receiving benefits or care, directly to the White House. If you or a family member are in crisis and in need of immediate help, please call the Veterans’ Crisis Line at 1-800-273-8255 and press 1. If you have an issue or a complaint to report to the White House, you may call the new hotline at 1-855-948-2311. Again, not all calls will be answered by a live operator at this stage since the program will not be fully staffed 24/7 by live operators until the official launch on August 15, 2017. If they closed the claim in March 2016, then you have to submit a new claim in order for them to have a reason to use the exam results. If you submit a new claim or try to reopen the old one based on submitting "new" evidence from that exam, then it should proceed properly. The issue is that the exam was conducted after the claim was closed and never reopened. I just called. Got the same damn runaround that I get from the VA office here. They do nothing. They won't help. They offer zero alternatives. They don't care. This is entirely broken and cannot be fixed. Called and within 2 weeks case resolved which was that VA had put my appt out for 11 months. I have two cracked molars. I am 100 % P&T. Depending on your particular case , this hotline works!! VA in Orlando told me "we received an email" I said from who. They said "from White House." All it took. Thank you White House VA staff. Great to hear that it worked for you, Rich. Hopefully it will be helpful to some others as well, even if it hasn't helped everyone. James I'm in the same boat as you .I had to get records It took 7 months and then they did not send all of them .I call and was told I had to resubmit and it would be another 6 months .I know they hope we die first .That way there is one less they have to deal with . I hear its better than it used to be .Its still not what it should be . I'm so tired of this BS . I write my senators and congressmen am always told I need to fill out a form for a complaint form , I guess fire everyone and shut it down there no help anyway . The VA is still as corrupt as ever. Even laws, rules, manuals mean nothing to the Regional Offices nationwide. They do as they please, stall appeals so a Veteran will die first. Give incomplete information on both EBenefits and Vets.gov. They don't want us to know the TRUTH. The Baltimore MD RO needs to be shut down, cleaned out and rebuilt but will never be done, Veterans will continue to DIE everyday due to the delays maintained by the VBA, Veterans Benefits Admin. because no investigation will EVER be done to address the corruption there. Veterans will always pay the ultimate price awaiting for justice from the VA, It's is called DEATH, which is what the VA really wants to happen to Veterans. Pointless. I call and they say they will get back to you in 14 days. I call back oh they didn't call you back, let me open another ticket for you and someone will call you back in 14 days. Cant make this stuff up. Served on USS Pittsburgh SSN 720 during Desert Storm. We had SCUDS land within 4nmi and 7nmi of our position. Had chemical leak on said USS Pittsburgh I was extremely vulnerable to at the time but did not know it. Worst anthrax vaccine reactions on record again typically after 4 or 5th shot in military my blood enzyme condition. When I was in there was 3 such shots. Base I served on super fund clean up site due to toxic soil and water samples. Told by VA I am not Desert Storm veteran they will never service connect me. Tired contact various veterans organizations and told they will not represent me. They refuse to consider my enzyme condition that makes me 100 to 1000 times more vulnerable to certain chemical weapons and medications including vaccines. It is rigged system were a veteran cannot get a fair trial by jury. If jury seen my evidence VA would have hard time defending deciding against me. To add fuel to this fire VA closed my case while I was burying my dead dad (a retired Navy chief). VA is dishonest and dishonorable. They exist only to push political decisions for service connection. I'm so sorry to hear about your case. Without all the information, I can't recommend the best way to proceed. However, a lawyer may be able to help you out. There are some great ones that specialize in the disability system. They can review your case and see if there is anything they can do to help. Hello Dr. Johnson, thank you for your info here. Wanted to ask you a question regarding a proposed reduction received 7 months after receiving an 50% award. 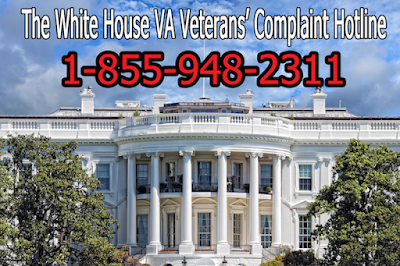 Have called the VA Complaint Line and supposedly, there is a pending outcome through VBA. WHy would VBA challenge their own decision 7 months after making it? It's definitely not a usual circumstance. I would need to know more about the case, though, to be able to understand what the BVA is doing. What was the appeal for, and what did they say when they told you about the reconsideration? Taken 5 years to resolved Disability Claim and the last comment for the disability board was that we didn't prove he was exposed Agent Orange 2 years later and still nothing. The rule says you don't have to prove that it is assumed. Also, had letter for up Staff that has gotten disability for Orange in that me place. Stupid! Gone through 5 surgeries and cancer heart is failing! As long as you meet all the requirements for Agent Orange exposure, you should qualify. If, however, you can't show proof that you had boots on the ground in Vietnam during the specified time period, etc., then they will deny it. I have an issue with the VA and Dr. Young . For the past 35 years he has been their go to guy for agent orange. Dr. Young was also a paid consultant for Dow Chemical. I was boots on the ground . I was exposed and I can prove it . He has claimed for years there was no causal relationship between agent orange and health issues of vets exposed . Everyone one is different . What effects one may not effect another . For the VA to claim agent orange only has an effect on a very short list of medical issue is outrageous . You know, some years ago, I would defend the VA if any Veteran would say anything negative about their services. Even call them a liar if they said that the VA wasn’t helping them. Throughout the years until 2012 I had no problems with the VA. In fact, I felt that the VA was well balanced with very little cracks, which was able to do their job to make me whole on which they did. I was able to take the reins of my life and didn’t visit the VA until my PTSD put me back on the 7th floor at Cincinnati VA Medical Center on September 3rd, 2018. Now, I’m living in a horrific nightmare on trying to get the proper help from the VA. I just can’t believe on what I am going through. The day I was discharged I have been asking, crying, begging for the proper help to make me whole. There is no way I should have been discharged from having a breakdown on my own to try to get back on my feet. Here is one for you: I called and left a message to the Suicide Prevention Coordinator begging for help. They never called me. I literally had to rock the boat to get the help I have today. That help is only keeping me from going back to the 7th floor or committing suicide, while I’m trying to get the proper help from some of the VA other Departments. I have used the chain of command, that didn’t work. - From not being at risk, to being at-risk-homeless to homelessness. The shame I live in. - I am more lost, more confused, more scared than ever not knowing if I am able to pull out from this crisis and able to take charge of my life again. - My other therapist that was helping me with my PTSD was taking away from me because on how much stress was being caused from not getting the proper help with some of the departments at the VA.
- My mental and physical health has been deteriorating little by little over this nightmare. - My family and friends stay away from me. - Every day I forced myself to get out of bed to battle this nightmare, so I don’t sink deeper in despair. - I’m not able to move ahead with anything in my life, because I am always in extreme survival mode. - I feel alone trying to get back on my feet, with no help. - I feel hurt and abandon from the VA not doing their part. - I feel that the VA don’t really care about me or the rest of us veterans. We are just a number. - I see my whole life deteriorating where I’m afraid I won’t have the strength to get back on my feet to take charge of my life. What doesn’t make sense is that the VA motto is to make the “VETERAN WHOLE” and by looking at the above list you can clearly see that is not, what is going on. I pray that this letter gets in the right hands, not just for me but for the Veterans that will be going down this same path. I'm so sorry to hear about your situation. You're right that while the VA system works for many, it fails too many at the same time. In your case, if you've explored the various programs offered by the VA to no avail, you may want to try the other government mental health programs offered. Have you reached out to NAMI? They also may be able to help. Again, sorry to hear about your situation. I sincerely hope one of these programs will be able to help you. Doctor, I see you are on the review board. How can I get there. When I filed for VA disability over seven years ago I made several claims, including TDIU. The VA prevaricated to deny me initially. After I tracked down a doctor who treated me in service, they then gave me a 30% rating, forgetting my other claims and TDIU. Just had a DRO hearing three plus months ago, and that was certainly an adversarial hearing because she would not let me talk about the denial of TDIU. But I cannot work, and I really need to get to this board. Any comments would be appreciated. Sorry to hear about your frustrations. I am not currently on any Board, so I don't personally have an inside track for you, however, I am happy to offer advice. I'm not completely clear about where you are in the process, but I'm assuming you are in appeals and waiting for the appeal decision. With only a 30% total rating, you can't even be considered yet for IU, so until your ratings are increased, there isn't a point in arguing for IU. If your appeal is successful and your ratings are increased to levels that then qualify you for IU, then that is the best time to reapply for IU. They correctly denied that based on having only a 30% rating at the time. So for right now, I suggest you focus only on appealing your ratings and getting them increased. Once they are, and you officially qualify for IU, then pursue that issue at that time. Thank you for your advise. I certainly will consider what you said. However, I must point out, primarily because others might read this, that you are not entirely correct. In your advice you discuss what is commonly called a 'scheduler TDIU rating'. And the threshold for a scheduler rating, is perhaps one disability at 60% and a second at 40% (I think). A scheduler rating for TDIU is handled primarily by a DRO and/or the BVA. But that is not the only option. There is also something that is called an extra-scheduler rating, which is governed by 38 C.F.R. Sec. 3.321(b)(1). This is a consideration done by the office of the Director of Disability Service, located in Washington, D.C. In theory, a veteran can have a 0% percent rating on a service-connected disability and get TDIU if the evidence before this Board shows it is warranted. You might want to read that legal citation. I, apparently inadvertently, though you were on that board that hears these exceptional cases. Now you are correct that I am in the appeal stage, specifically waiting for the DRO to issue her edict. But while I am wound up let me give a short explanation of not just where I am, but also where I have been. I became disabled before I ever heard of VA disability. But when I found out I applied. I was initially denied because of a 'false statement'. (Ask General Flynn about this federal felonious offense!). I figured it would be easy to have this false statement corrected, as mandated by 38 CFR Sec 0.601 (e) but alas, I was proven wrong. I filed a NOD and demanded a hearing. In the interim I tracked down the location of three doctor's who treated me in-service, getting a sworn statement from one. Rather than go through some mundane procedure such as a hearing, they decided to then give me a 30% rating, and then claim that was the total benefit claimed. (That was another false statement.). So another NOD, and once again I demanded a hearing. The DRO did not want to have this hearing, and in time it proved to be certainly adversarial. She would not even let me discuss many important avenues. I had hoped to record the hearing, but she had a VA Police Officer there and the two of them told me it was a violation of law to record the hearing. I suspected that was false, but was not positive, so I waited until we were on the record to put my objection there. This woman had the audacity to tell me the standard of review was going to be 'de novo'. Sounds great. But no sooner had she uttered this fact, when she then informed me of the limitations for the hearing. Obviously she does not understand the term 'de novo'. So as I wait, I have a couple of Privacy Act/FOIA requests in, I have filed a Privacy Act/FOIA lawsuit with the Federal District Court for the District of Columbia, I have filed a letter to the Director of the RO putting her on notice of certain criminal acts, and I await the day I finally get my appeal to the CAVC. In closing let me state what bothers me most. Our illustrious congress, years back, decided to relax the 'Federal Rules of Evidence' to help facilitate the processing of VA disability claims. However, the VA has convoluted this process so much, that this relaxation of the rules works to the detriment of most veterans. Sad but true. And so I wait, seven plus years since I applied, no apparent end in sight. You are correct that the VA has the right to make decisions outside of the basic laws. However, extraschedular ratings are usually only awarded by the highest review Boards and usually only with the approval of the Under Secretary or Director. As such, these are not the norm, and so we usually do not discuss this along with our general advice since the majority of extraschedular ratings have only been awarded in cases overseen by lawyers. These are by far the rare exception, not the general rule, and it usually takes many years and levels of appeal before they can be achieved. Instead, while we do acknowledge these opportunities, we focus on educating veterans on the schedule itself and how it works so that they can best achieve their deserved benefits within the system. In your case, they did correctly determine your IU as they are not at that level granted authority to make extraschedular decisions. The appeals process is similar. It isn't until you reach a higher Board that those considerations can be made. I am sorry to hear about your frustrations and hope that you receive a fair rating for your current conditions. You absolutely deserve it just as much as every veteran who has served our country. Once the appeal has been determined, you can continue to pursue IU. Just be aware that unless your ratings have been increased so that you qualify, there is potential for your case to still take many years before it will be granted.